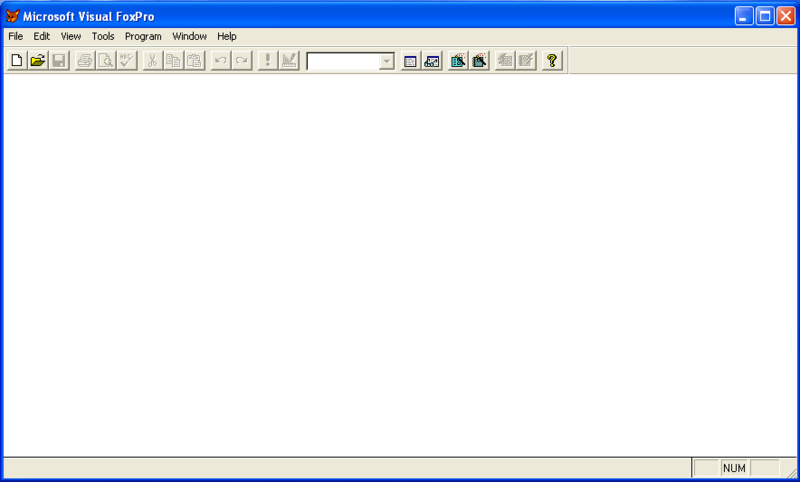 "Command Window" Opened. 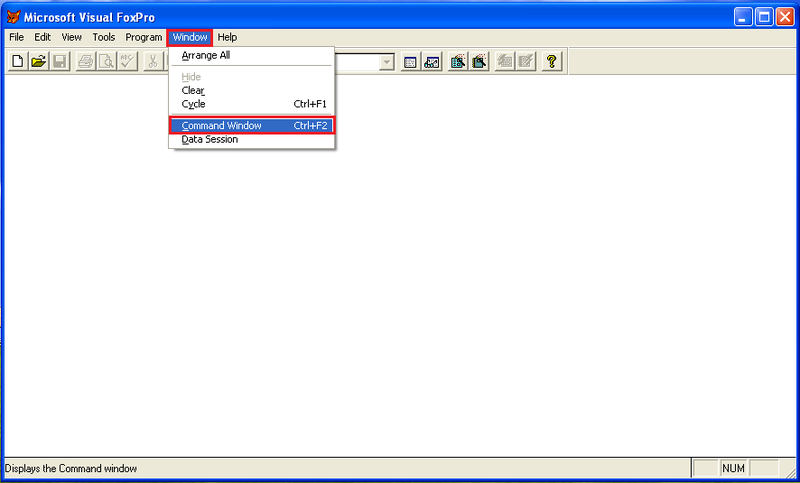 You can execute FoxPro commands from "Command Window". 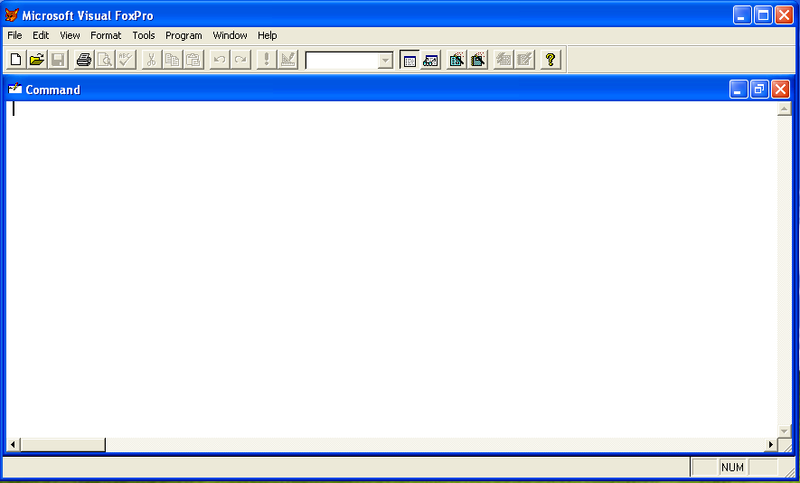 You need to write FoxPro commands in "Command Window" & execute it by hitting "Enter" key on the keyboard. 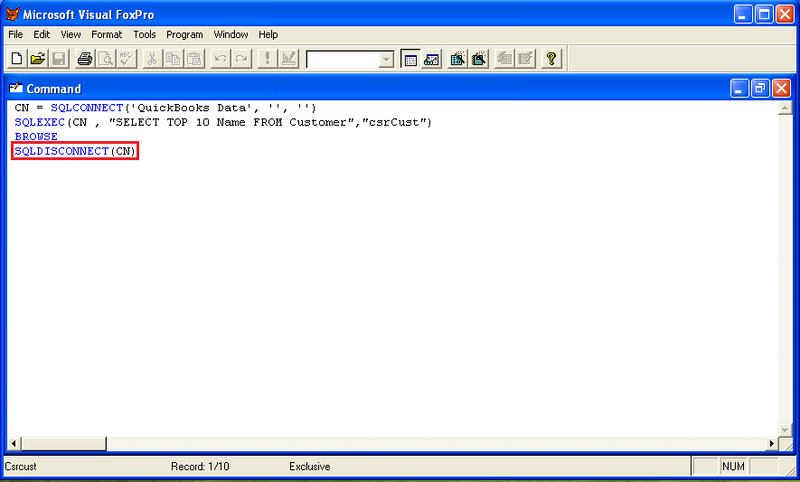 First, We will connect to QuickBooks from FoxPro using SQLCONNECT command. Write below command & hit "Enter" key from the keyboard. 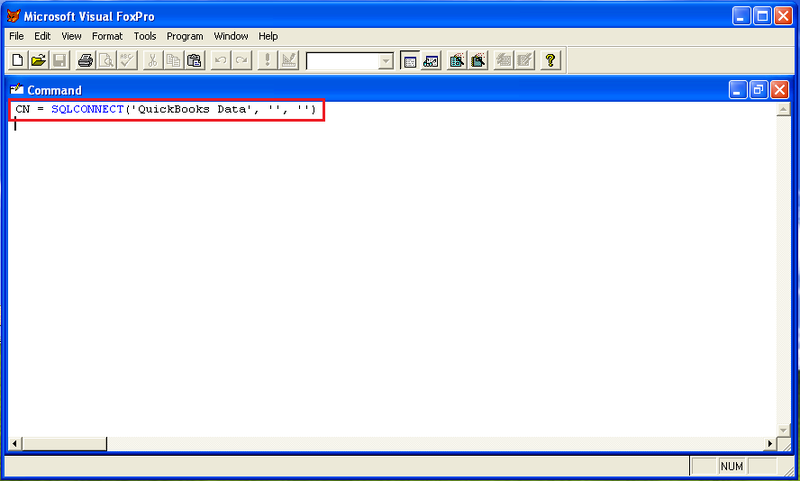 Now, We will execute the query to QuickBooks from FoxPro using SQLEXEC command. Write below command & hit "Enter" key from the keyboard. 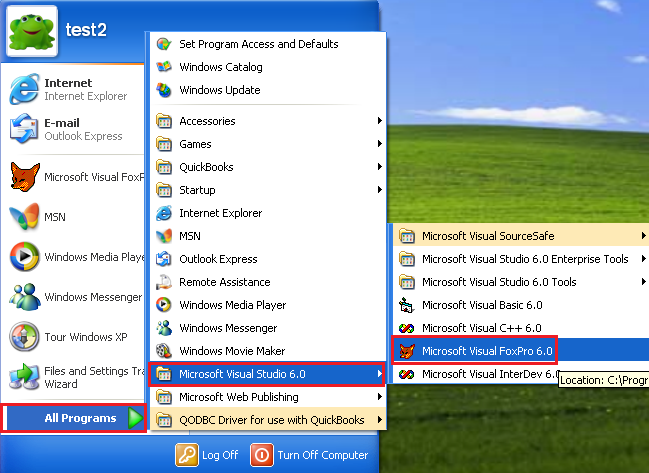 Note: The above query is for testing purpose only. 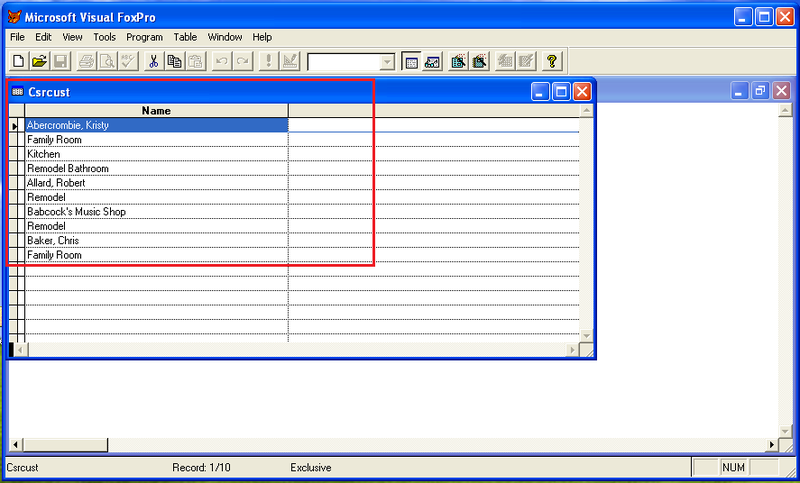 You can change query as per your requirement. 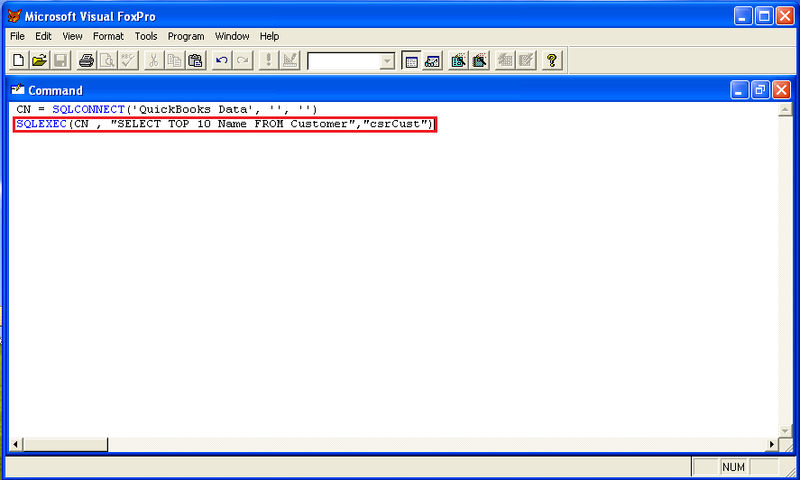 Now, We display query result in FoxPro using BROWSE command. Write below command & hit "Enter" key from the keyboard. 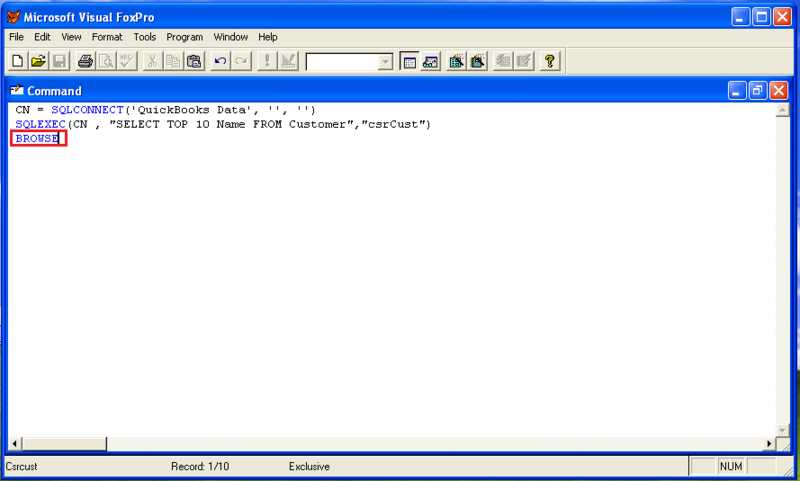 You can disconnect the connection to QuickBooks from FoxPro using SQLDISCONNECT command. Write below command & hit "Enter" key from the keyboard.